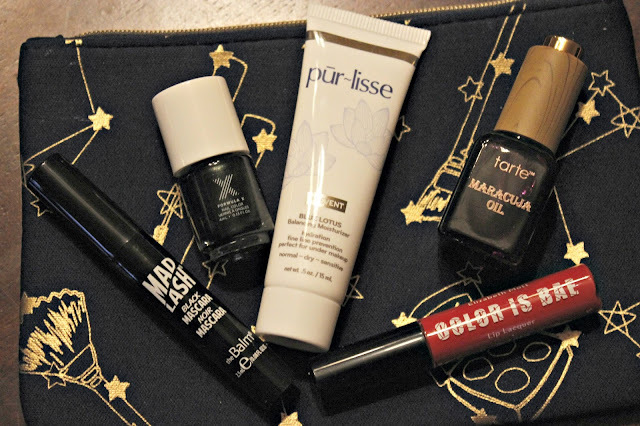 This month's bag is Rockstarlett and not only does the bag show us a celestial beauty love, but all the products rock! I am once again very happy with my bag AND all the products in it. If you want to get your own bag, you can click on any link throughout the post. I love any long lasting colors for this season purely because I have NO MORE TIME! I'm not so hot on reds but this color, Red Chili, will be perfect for a holiday party. I only have to apply before and not worry about any further applications until after the party. I swatched this on my arm and it was still there through several hand washing, a face wash, lots of laundry and a full sleep. 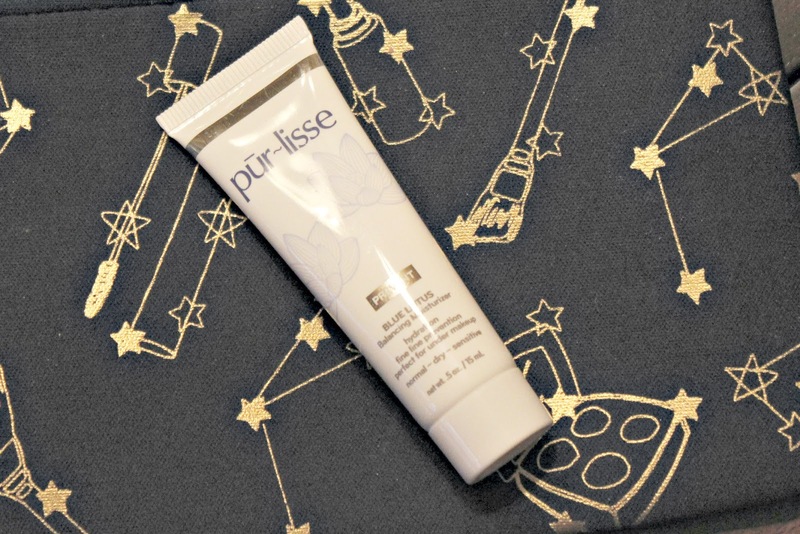 I actually got to try a couple pur-lisse masks in a prior Ipsy bag and I fell in love with the brand. I am soooo happy I can add this to my gym bag because I need a new moisturizer especially with the cold winter months ahead. The Blue Lotus Moisturizer contains vitamin E and white tea to help with fine lines and wrinkles. Ok... 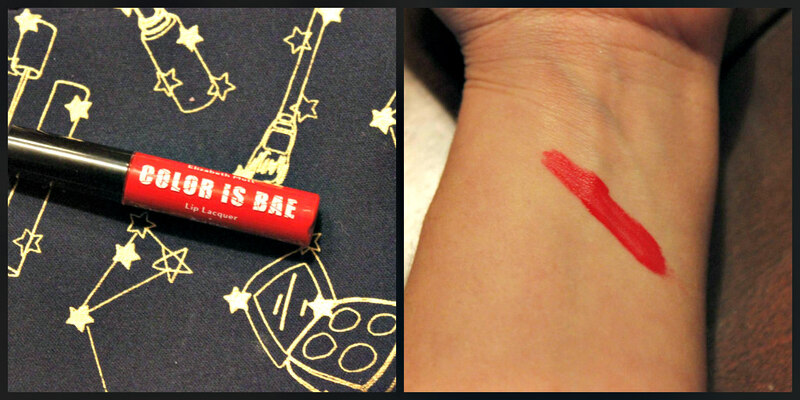 This color, Huntress, is such a pretty vampy color that is perfect for the winter! Ipsy describes it as a deep emerald shade with flecks of gold but I say it's more of a deep teal with a slight gold shimmer lean. 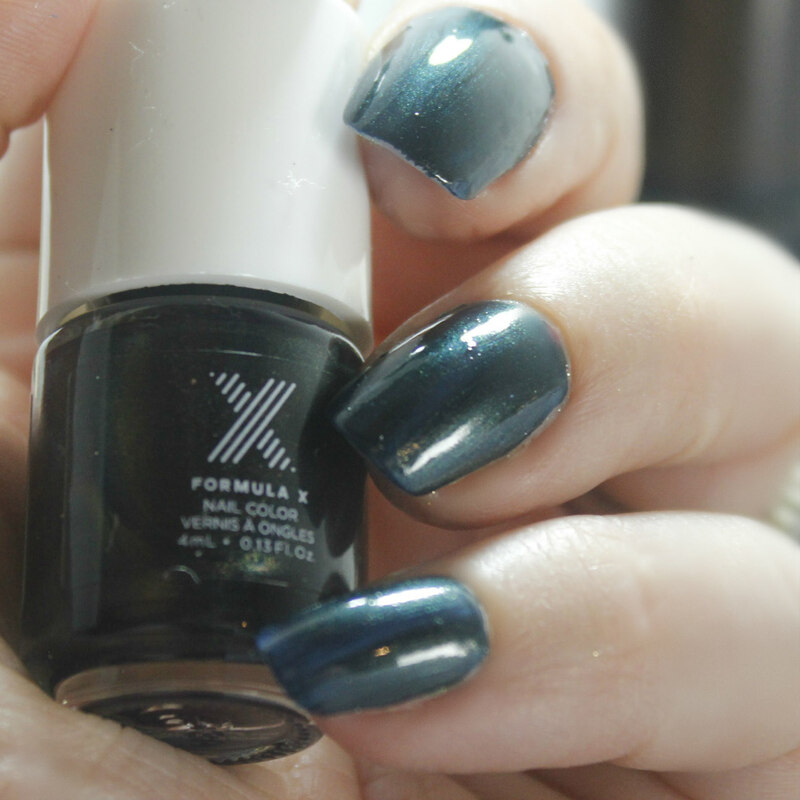 Formula X nail polishes are made with ShineXcel which helps give it that glossy look without a top coat. I always top coat for extra protection, but this one will shine without. I love everything from the Balm and I feel like I have been lucky enough to get at least one the Balm product in each bag lately. 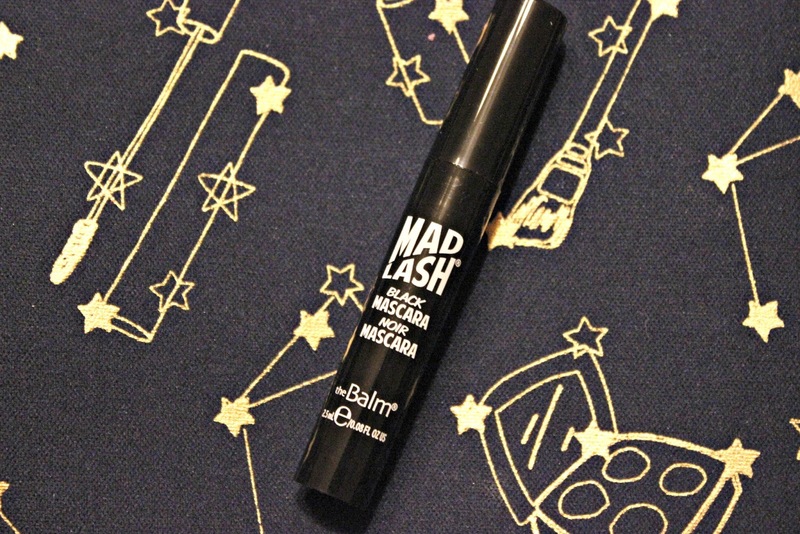 I have never tried this mascara, but I must disclose that I am a HUGE mascara snob. I have said this a million times, but it's all in the brush. This mini sample comes with a curved wand. Ipsy says it's the most bendable wand they have ever seen, I say it's ok. I am soooo excited to get this in my bag. I mean hello brand-names-out-the-wazz! While I don't like to use any oils on my face, Maracuja Oil will be thrown in my purse to tame my frizz, fix my cuties and to rub on any extra dry areas. 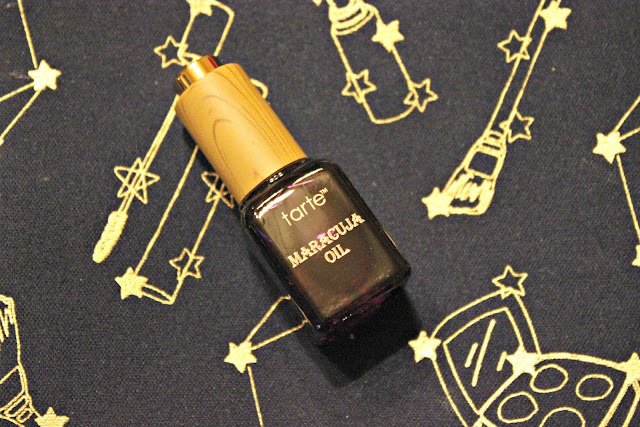 I like to use oils on my feet, elbows and hands to help keep in that moisture and keep away that flaky, dry skin. Not to mention, this smells fantastic!! 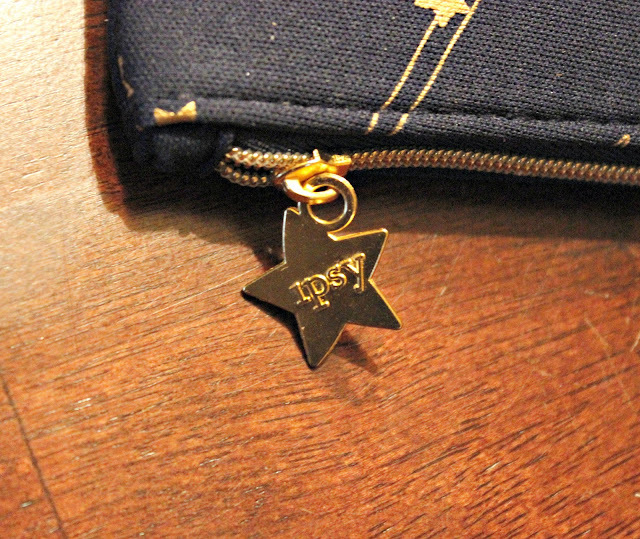 If you love this bag as much as I do, you will want to grab this up for a present. It is perfect for a cute little gift for the beauty expert or beginner in your life. Love this bag this month Ipsy! !